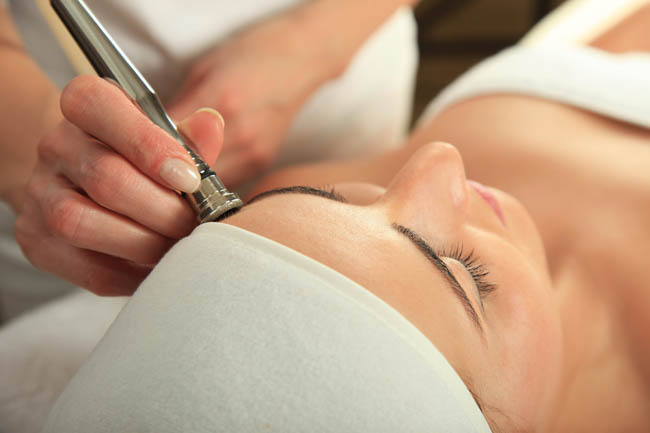 Dermabrasion is a proven method originating from curative cosmetics. Its precise but still sensitive sandblasting with highly valuable crystals together with divers attachments, enable the covering of a broad variety of applications. Wrinkles, acne, uneven skin parts or pigment disorders can specifically be treated with this device. 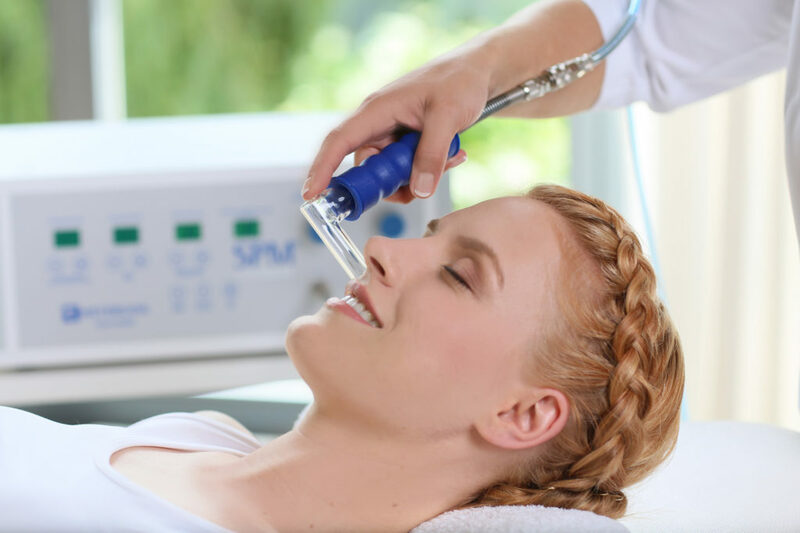 The Dermabrasion treatment is often titled as time efficient deep skin regeneration, effectively refining skin appearance and optimally preparing skin cells for following active ingredients. Moreover, collagen as well as elastin synthesis shall be activated. This can, in individual cases, lead to a visible reduction of wrinkle depth. Dermabrasion can also be deployed for local treatment of scars. It is recommended as a cure and as a supplement to other treatments. The products of the High Care are unique serums, ampules and vitamines, that were developed for special skin problems. The ultrasound device, with its more than 1 million frequency per second, can channel the active substances into the deeper layers os the skin. The patented Dermio Care Facial treatment relies on highly concentrated negative ions with which surrounding oxygen is enriched. Under the protecting helmet, these ions encounter facial skin. Visible and sensible, each client profits from this relaxing and special treatment. Moreover, it offers protection from harmful environmental influences. 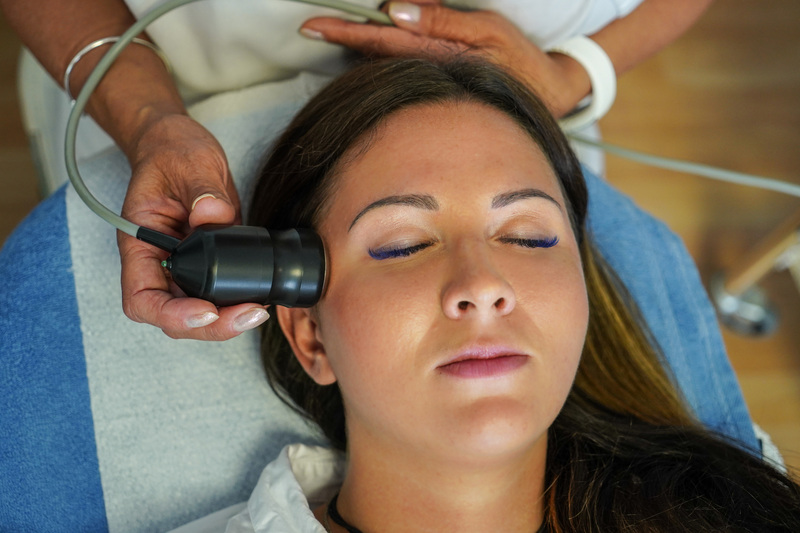 This treatment can also cure skin problems like acne, rosacea or inflamed skin. Dermio Care Facial is an indispensable part of valuable anti-aging treatments. It is a traditional, save and proven treatment method. It is a combination of relaxing massage and cupping on the face and décolleté. This treatment improves the blood circulation, which optimize the formation of collagen, therefore tightens the skin. It is the most efficient method against the hooded eyelids, because the lymphatic fluid is removed by lymphatic massage around the eyes. SPM is very useful in anti-aging treatments specifically in the face, neck and décolleté areas and also in the treatment of acne with the combination of the cleaning treatments. During tha patented Mesocare treatment, bio-functional serums are deeply channeled into skin by means of electroporation. Pain-free, harmless voltage pulses at the upper membrane lead to a short opening of the microchannels of skin. Through that, highly concentrated active ingredients – e.g. in anti-aging treatments – can diffuse in the deeper layers of skin without the need of needles or syringes. Mesocare represents a modern form of transport for substances such as hyaluronic acid, vitamins or proteins into the skin of face, body or décolleté. For preventing deterioration of wrinkles through mimic movements, the Meso-Myo-Lifting enables electromechanical stimulation (EMS) of affected parts of facial skin. It is recommended for: skin problems, dry skin, wrinkles and aging, dehydrated skin. It is the most effective method against cellulite. 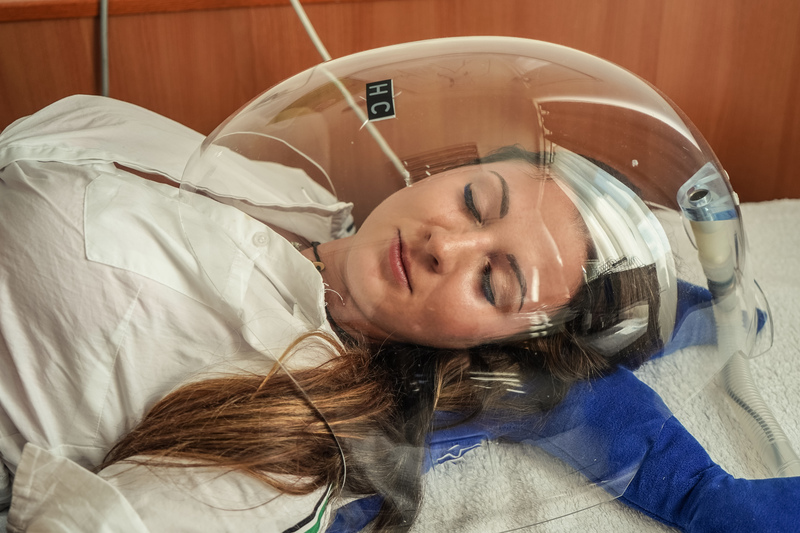 During the vacuum treatment new, fresh oxygen and nutrient-rich blood flow to the legs. Then the pressure transfer the used blood with the excreta to the excretory system. As a result the skin and the fat cells are cleaned. The soft skin, the resilient connective tissue, the boosted blood circulation and the ease from oedema are all parts of the effect. 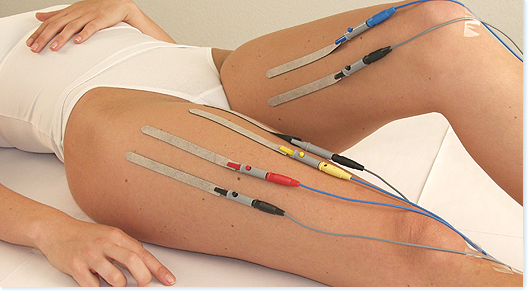 During the Bodystar treatment, electric currents are directly and without pain channeled into the skin by electrodes. Pre-programmed treatment programs enable applications with a focus on muscles, nerves or skin tissue. During this treatment fat-dissolving enzymes-lipases- are activated. Through that, depot fats are directly affected. The Bodystart treatment has three steps. Firstly, the electrolipolysis dissolves the fat cells. Then comes the izotone program, which stimulates the muscles. 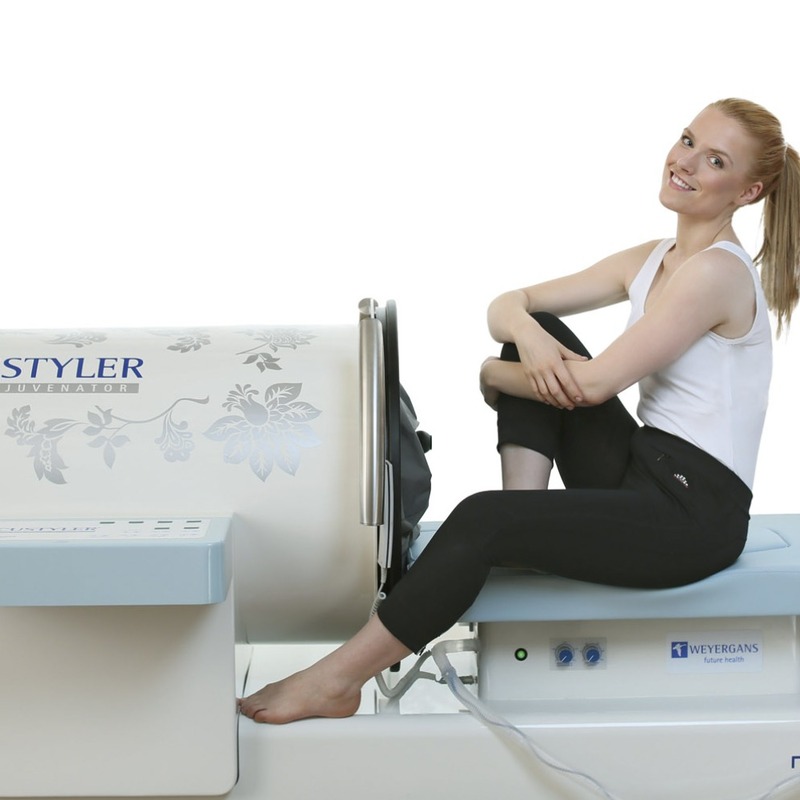 Lastly, the polishape improves the tightness of the connective tissue. Years ago this method, which is now also part of the medical books, was developed by Rudolf Weyergans. and the specialized strong and flexible air transparent plastic foil. However, there is another very important thing. The desired result can only be achieved if the body wrapping is done professionally. Body wrapping enhances the transfer of excreta and reduces the fat cells! The result can be measured in centimeters With one cure you may even lose one size! The skin becomes more resilient and silky. It is recommended as a cure with 8-10 treatments, one can be done every other day. It is a new innovative treatment against acidification, which makes the skin around the thighs, buttocks and abdomen tight. It has several positive impacts. It has a good influence on allergic symptoms and speeds up weight loss. 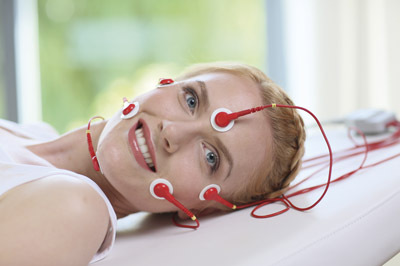 You can relax and reduce stress during 30 minutes treatment. The method is based on scientific facts, that the Weyergans High Care Ag. took over from medicine. It effectively helps to restore the acid-base balance and in detoxification.